Who doesn't love a freebie? 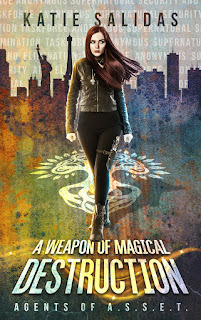 Free sample includes the first 4 chapters of A Weapon of Magical Destruction. No email signup necessary. Choose from direct download via Mobi (Kindle) or Epub. If you need help uploading your Mobi version to your Kindle Device, we recommend SendToKindle. You can download the app and instructions HERE. You can also select to claim your freebie via Story Origin or Prolific Works email signup may apply to 3rd party distributors.